Schedule your Fiat service today! Fiat specializes in small-sized vehicles. It shows drivers that big things come in small packages, featuring attractive designs and demonstrating exceptional speed. Hollenshade’s Auto Service knows what it takes to repair your Fiat. Small, affordable, and fun to drive, your Fiat deserves top-quality care from skilled and experienced mechanics. Expect accurate inspections and trustworthy recommendations when you take in your Fiat for a service. Call us today to request an appointment. Drive with confidence with a well-functioning brake system. Our auto service professionals in Towson, Maryland will perform a brake check service that includes an inspection of your Fiat’s brake system. We use only new, high-quality parts that meet manufacturer specifications. Our team provides accurate estimates to help you obtain the greatest value in car repairs. Your Fiat’s Check Engine Light is a critical safety feature. Your car, which has onboard engine diagnostic equipment, sends signals to your system’s computer if an engine repair and maintenance service is due. Schedule an engine diagnostic service with us to keep your vehicle safe. Our mechanics will quickly narrow down your engine’s problems and conduct a quick fix. Schedule a fuel system service with us to improve fuel efficiency and reduce emissions. Our mechanics follow a special, non-invasive procedure to clean your engine and remove contaminants. Keep a close eye on the performance and mileage of your Fiat — if you notice a sharp decline in fuel economy, it may be time to schedule a fuel system service. Car oil cools and cleans the moving parts of your vehicle. And this is why we recommend that Fiat owners change their oil according to manufacturer specification. Our mechanics provide swift and accurate service to keep your engine and schedule running smoothly. 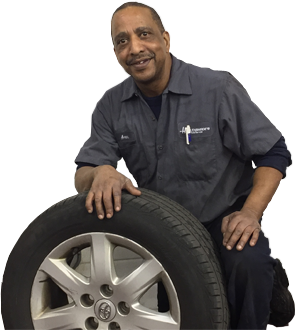 Hollenshade’s Auto Service is the top dealership alternative in Towson, Maryland. Here, you’ll benefit from speed, accuracy, transparency, and value.